NEW YORK (WABC) -- A tractor-trailer accident caused major delays Monday morning for drivers trying to get across the George Washington Bridge. 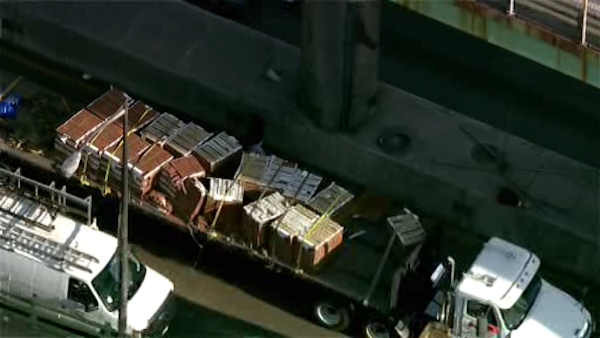 A flatbed truck carrying a load of bricks crashed on the upper level, causing some of the bricks to spill onto the road. The accident led to inbound delays of at least 90 minutes. THe accident scene was cleared, and the tractor-trailer was in the process of being towed away.